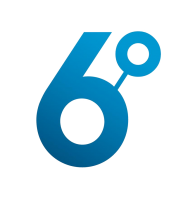 6 Degrees operates Tier 4 aligned datacentres, designed to host mission critical computer systems in a secure environment. When planning a new facility in Warwickshire, the company wanted to increase energy efficiency and reduce the environmental impact and carbon footprint of its operation, through the achievement of a PUE number of <1.8. cables in roof. The answer was Dataracks server cabinets and Cold Aisle Containment. The arrangement not only provides greater efficiency and significant reductions in energy consumption and carbon dioxide emissions, but also enables increased server density within the facility. 6 Degrees has traditionally used 8 amp racks which provided plenty of space for air to circulate and cool the equipment. The new datacentre, fitted out with Dataracks cabinets, is using 32 and even 64 amp racks – representing an eight-fold increase in density! This more efficient use of space has helped the company to meet and exceed client expectations for density without increasing costs based on space.